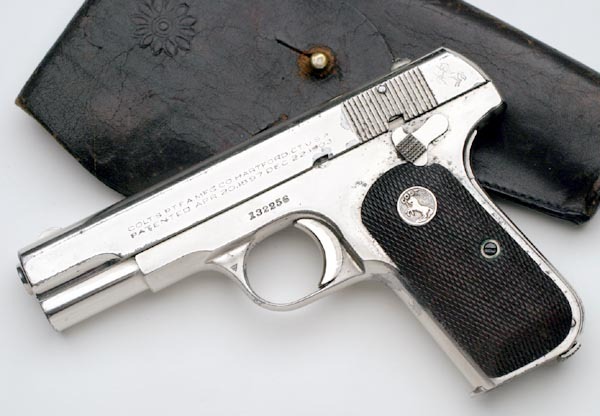 Model M .380 ACP serial number 132256 - This was one of 12 guns shipped to Brias Roxas, Inc., Manila, P.I. on January 20, 1939. 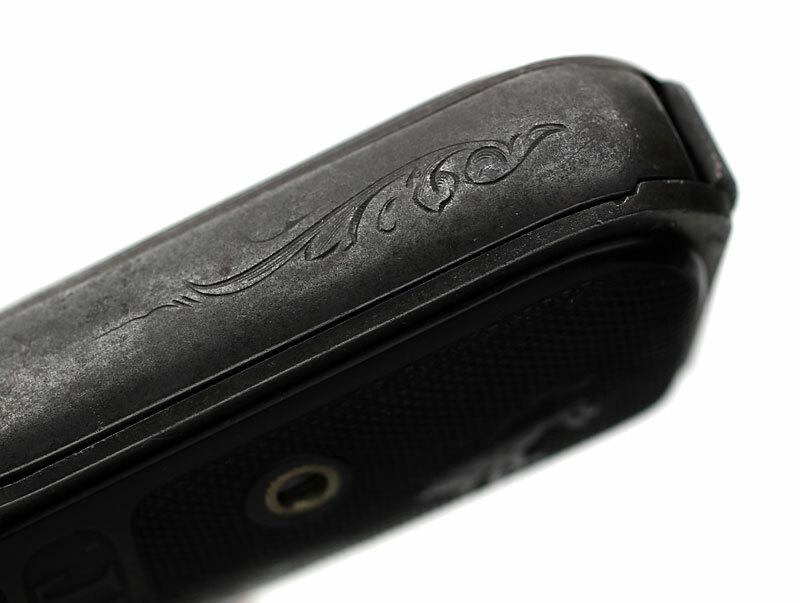 The factory letter also notes the finish as nickel, type of grips not listed. Right side of the frame is inscribed "L.T. 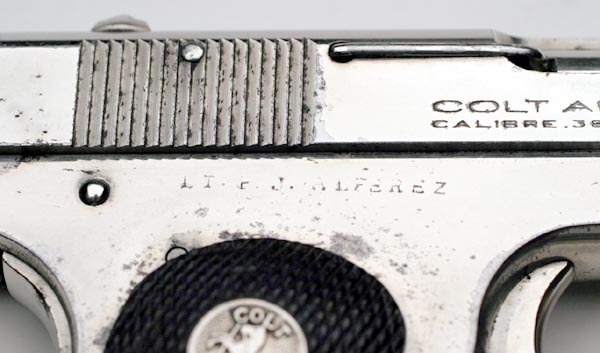 F.J. ALFEREZ"
Close-up of inscription "L.T. 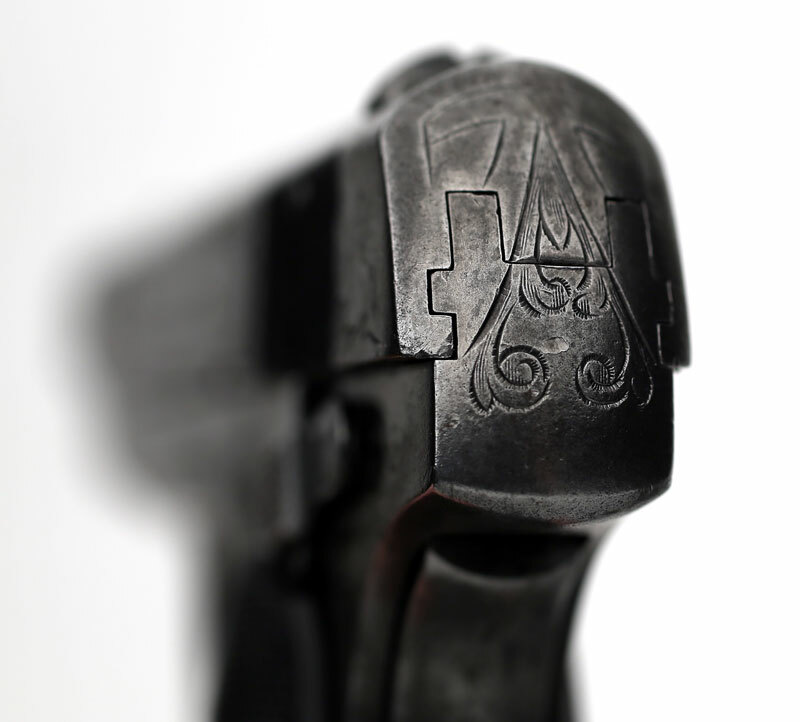 F.J. ALFEREZ"
Colt 1908 .380 with period flap holster. 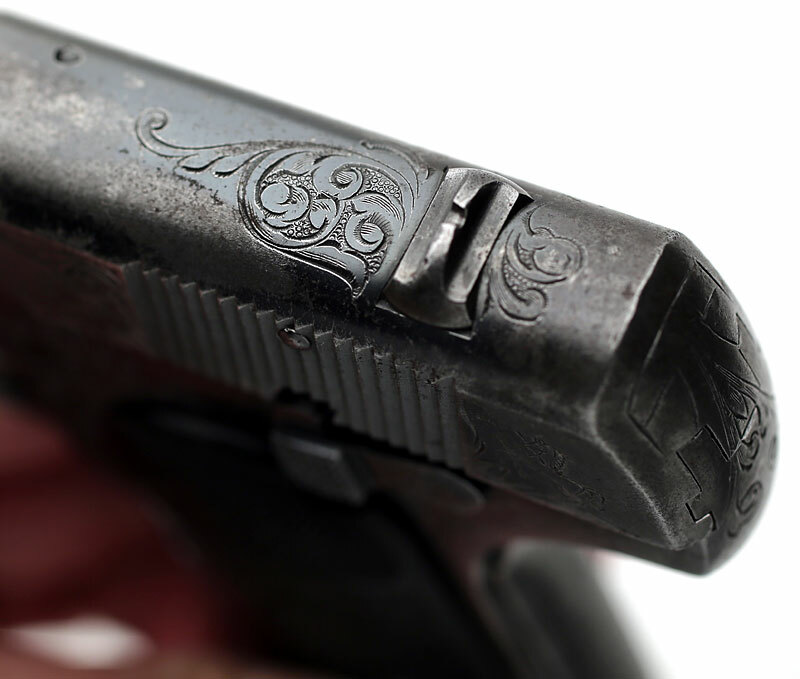 Colt Model 1903 Pocket Hammerless .380 ACP Factory Engraved serial number 82360 - This is a special order factory "A" engraved example that was one of two guns shipped to the Philippines. 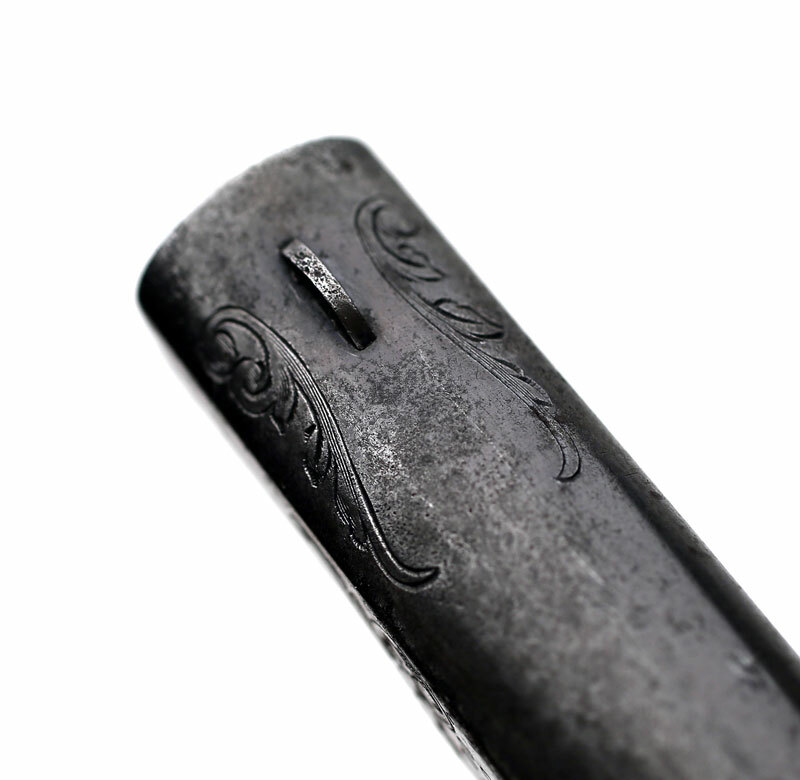 The Colt Factory Letter confirms this feature and also notes that this pistol was shipped with blued finish with mother of pearl stocks (which are no longer on the pistol). 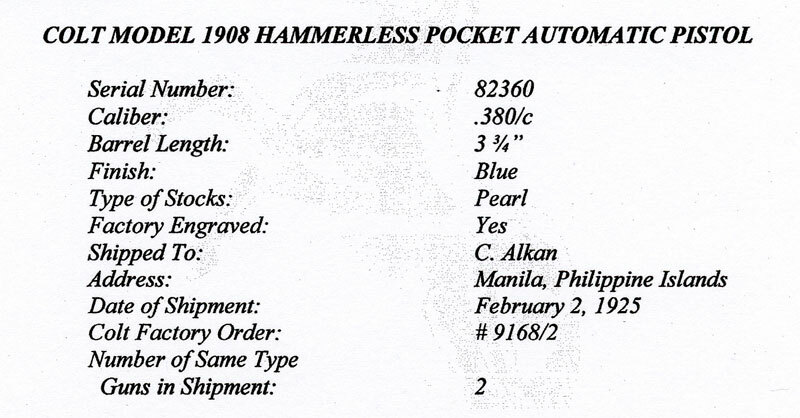 It was shipped on February 2, 1925 to C. Alkan, Manila, Philippine Islands and was processed on Colt Factory Order Number 9168/2. 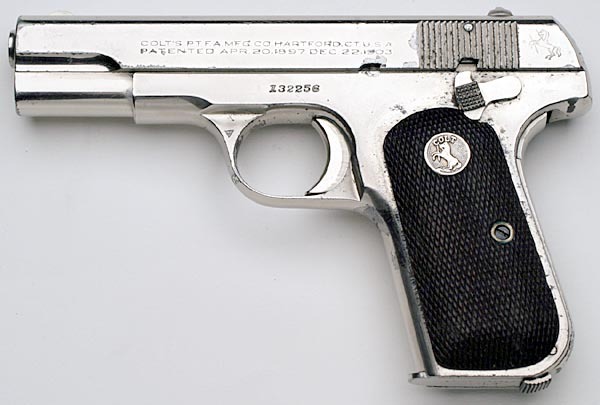 Colt Model 1908 Pocket Hammerless .380 ACP serial number 82360 - Right side. 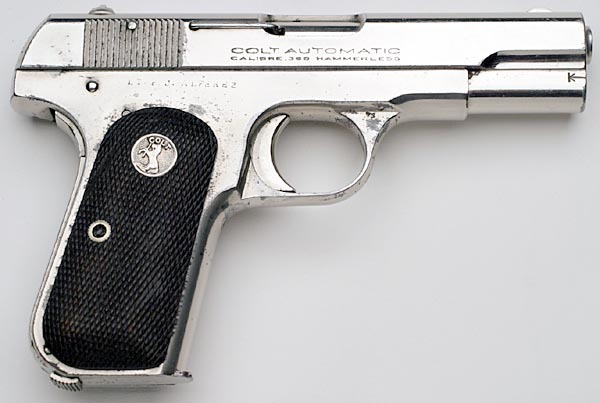 Colt Model 1908 Pocket Hammerless .380 ACP serial number 82360 - Rear of slide and frame. 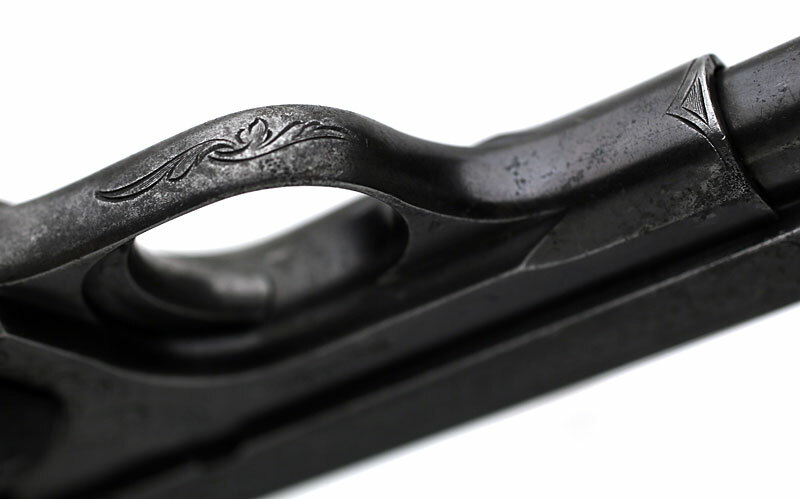 Colt Model 1908 Pocket Hammerless .380 ACP serial number 82360 - Engraving at rear sight. 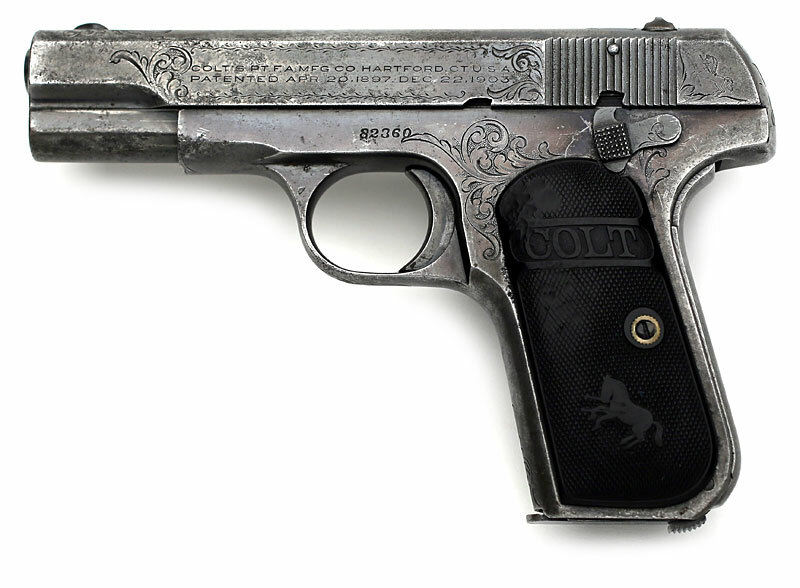 Colt Model 1908 Pocket Hammerless .380 ACP serial number 82360 - Engraving at Front Sight. 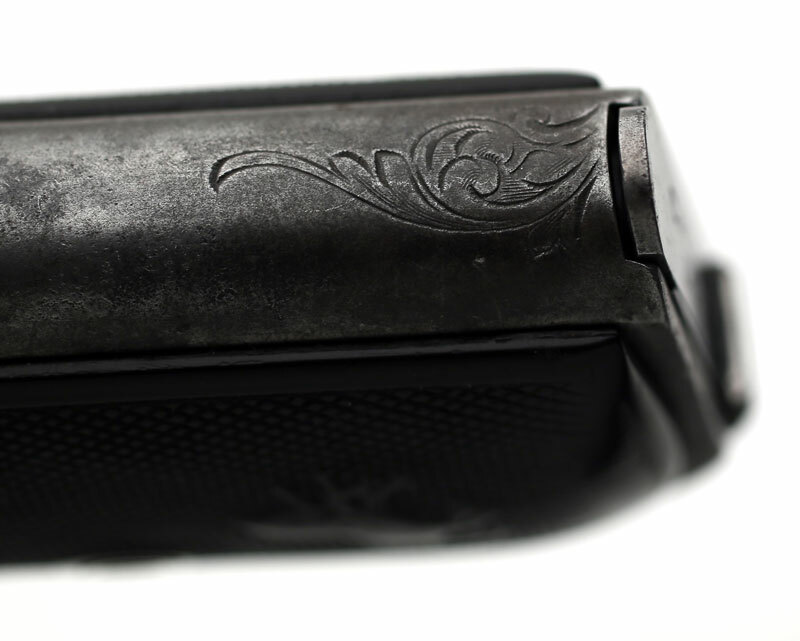 Colt Model 1908 Pocket Hammerless .380 ACP serial number 82360 - Engraving on Grip Safety. 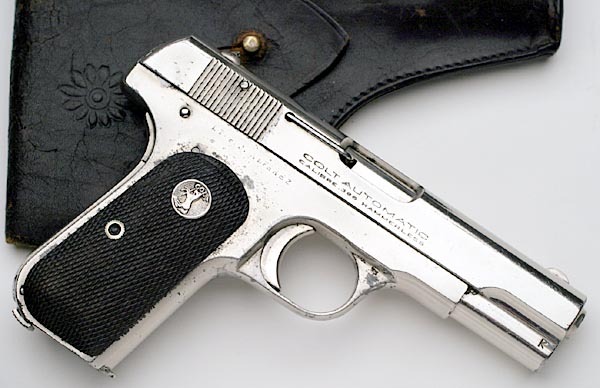 Colt Model 1908 Pocket Hammerless .380 ACP serial number 82360 - Engraving on Front Grip Strap. 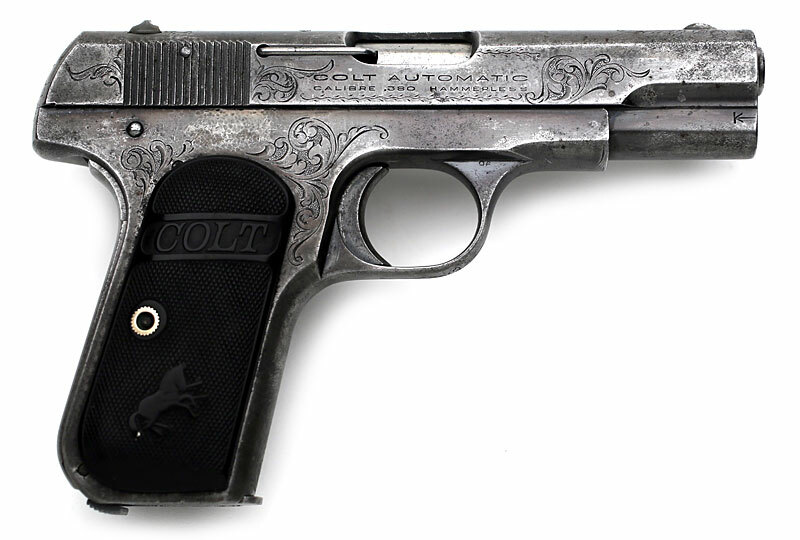 Colt Model 1908 Pocket Hammerless .380 ACP serial number 82360 - Engraving on Trigger Guard and Front of Frame.